Genuine wooden frame surrounding this exclusive art piece. 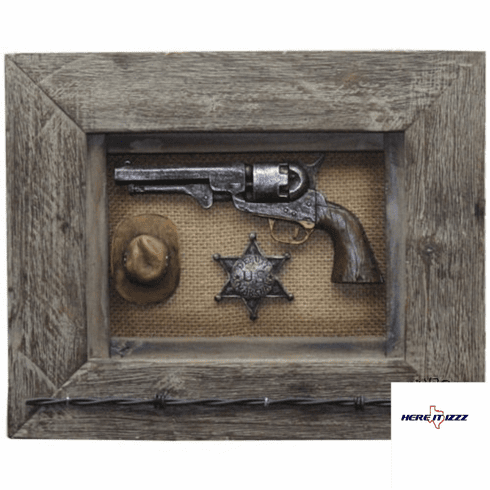 Unique recreation antique six shooter gun with six point Sheriff's badge and fun size Cowboy hat. Hang this in your office or jail cell for a great look.